Every morning, we arrive at the large gate of Montaña de Luz after a brisk mile’s walk up the mountain at about 7:45 AM. The guardsman, when he is at the guardhouse, generally opens the padlock to the gate and lets us in. Sometimes, he is elsewhere on the grounds such that a bell over the gate needs to be rung to alert him of our presence. Almost always, regardless of the guardsman’s whereabouts, Nance, a vivacious, animated thirteen year old has spotted us from the top of the driveway, some one-hundred-fifty yards from the gate. She yells out our names and comes running toward us with joyous enthusiasm as if we had come to declare her the winner of the Publisher’s Clearing House. If the guardsman is not present, she will grab hold of the padlock and seemingly attempt to open it. Of course she can’t, as only the guardsman has the key, but this never discourages her attempt. When she recognizes, yet again, she cannot open the gate, she vigorously rings the bell. Once in, we both get huge hugs, Laura’s a little bit longer and tighter than mine. She interrogates us as to how long we will stay, what we will do, and if we will have time for her. Before we really have time to answer or to engage her on what’s happening, she is already yelling out someone else’s name and running off ahead of us; her job as greeter now complete. The next child we will generally see is ten-year old Ellie. She too has a large voice and will have yelled out our names at about the halfway point up the drive to the small, cabin like building that houses the administrator’s and volunteers’ offices. She is as animated and energized as Nance, but she does not run to meet us. Rather she waits for us to come to her, wearing a jubilant, brilliant, Cheshire catlike grin. She thoroughly enjoys the company of adults and will do all that she can to stay with us. Anything but shy, she is coy and intentional, looking to receive some particular attention or prize. We have learned the need to redirect her. Oddly enough, another ten-year girl, Karin, has the same physical makeup as Ellie. For our first month here, both Laura and I would call Ellie “Karin” and Karin “Ellie.” We both laugh at the absurdity of that now because there could not be two personalities more opposed to one another as Ellie and Karin. The whole day could go by without either of us taking note of Karin. When I think of Karin, I think of these tremendously colorful birds in the Honduras ecosystem. They are breathtakingly beautiful, but mostly unnoticed as they so well blend into the environment. Karin is a soft, silent, unassuming soul. Still, as personalities are always perplexingly complex, Karin has moments where something inside rages and rebels, calling on everyone to notice her. Ellie will also have moments when her fire within is but a smoldering wick. It is at these times when we are most humbled by the mystery of these children’s lives. It is never too long after we have arrived that Stiven will wander upon us. He is five and he is as cute as the proverbial button. He most often stumbles upon us alone which says a lot about his independent spirit. He’s the little, big man; always insisting on carrying the biggest bundle of groceries, pushing a wheel barrel three times his size, or wanting to drive the truck. His curiosity and inquisitiveness give him a seemingly ceaseless zeal. Often he asks disarming questions to which only a sixteen-year old could comprehend the answer. His is a wise old soul. Still, when he is disappointed, he wails and cries. At these times, consolation is so distant and somehow we too know the injustice of his pain. Danny, seven, is a whirlwind, and unfortunately has become known as our problem child. He’s mischievous, forever challenging the rules. His brain works faster than most, and he certainly meets the criteria for a diagnosis of attention deficit disorder. He finds it almost impossible to focus, moving from one thing to another without ever settling. He’s incredibly intelligent, but that is seldom recognized or praised. Whereas he has trouble focusing his energy, the focus of many in his world is not on his intelligence, but rather on his bad behavior. Unfortunately, in our world, being different is likely associated with being bad. Danny has internalized that script. His low self-esteem and lack of confidence will be more of an obstacle to him than his attention deficit disorder. He’s a challenge to us all, but one that is well worth the effort. His brother, Alan, only a year older, offers almost as great of a challenge. His energies are not directed into the world, but rather inwardly focused. He’s hard to reach, preferring to isolate himself within his private world rather than face the intensity that accompanies relationships. He keeps himself away from crowds or meeting new people. He finds it difficult when the stability of routine is changed. Even so, there are times when his drive to connect, to love and be loved, is so clear and visceral that it makes you shiver. I relate but a small slice of our life at Montaña de Luz, our coming to know the children, and building relationships. There are 25 other children that I didn’t talk about; all of them uniquely beautiful in their personalities and their relationships with us and others. 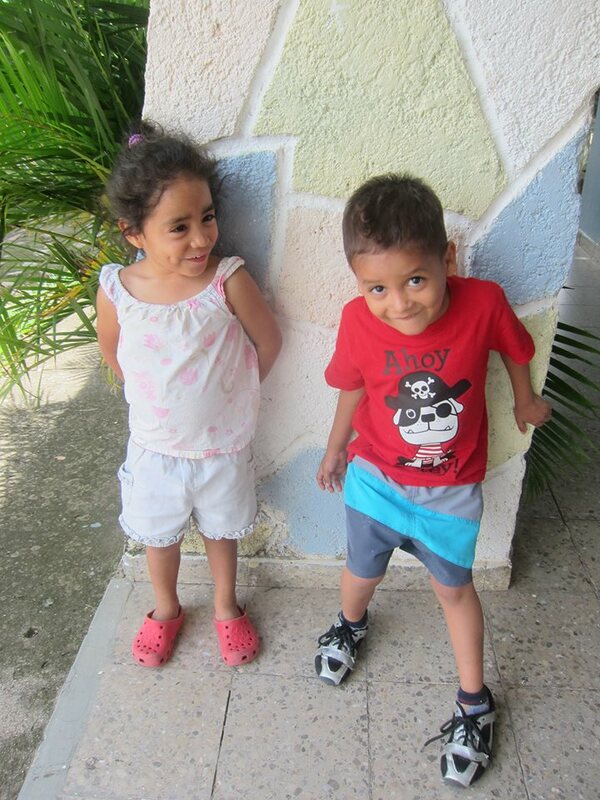 We want to be able to help these children to face the difficult circumstances of their lives. But our desire to help these children is itself challenged and redefined as we come to know them. First, whereas we want to give them something we think they need, we are humbled to realize that they already have everything they need in the mystery of who they are. They are posed to change the world if they can find the confidence in the incredible wonder of who they are. Secondly, as much as we would want to teach, it is clear that we have as much, if not more, to learn from them as they from us. We need to be agents of welcome. We need to find the guardsman to open the gates. How privileged we are to have come to know these children. What a marvelous journey awaits them and us.